Everything started with an original LAR VI shell which I bought from Ebay, it had several damages so I had to restore it. I then made up my mind how I could implement some existing Dräger parts which I already had from a RAY and a Dolphin. This ended in me making some straight connectors for the RAY Breathing loop so it could be fitted to the Shell nicely. I then took the RAY dosage device and replaced the 50% nozzle/sealing insert with a sealing insert from a dolphin so there is no constant flow anymore and it works as a demand only valve. After some thinking of how to fit everything into the shell I designed a special Lid for the bypass unit which screws on the bypass and then fixes the bypass to the shell, outer shape resembles an original LAR manual add valve. 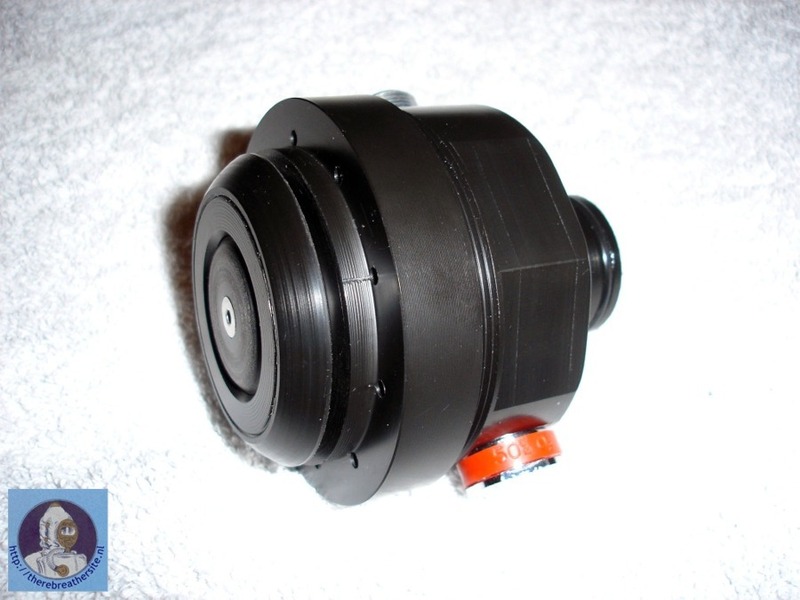 The special feature of the Lid is that it makes the demand valve to an demand and manual add valve, so one is able to add O² by pressing the button, just like on the original LAR. 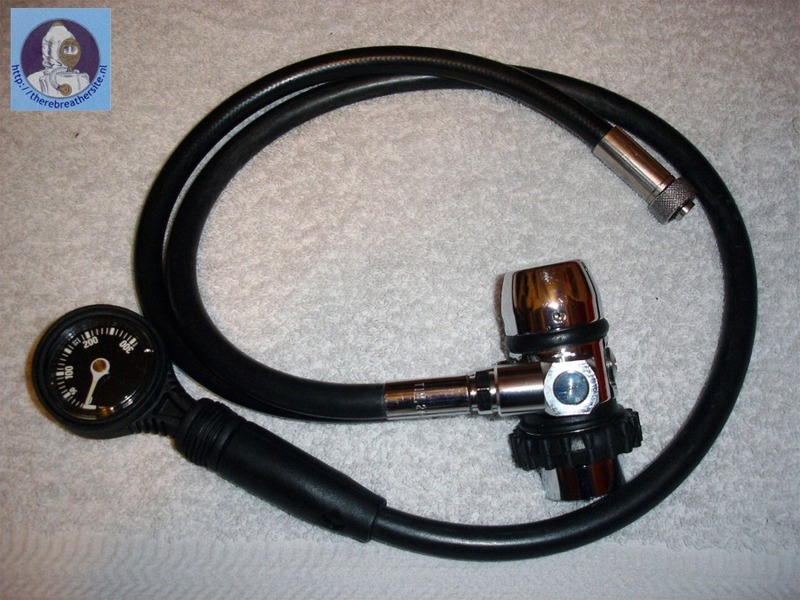 First stage regulator was taken from a RAY, got a custom length hose for the dosage connection added and a pressure Gauge that fits on the holder which was already build in on the shell. After this the Gas supply was ready and I could think of the counter lung and the scrubber. 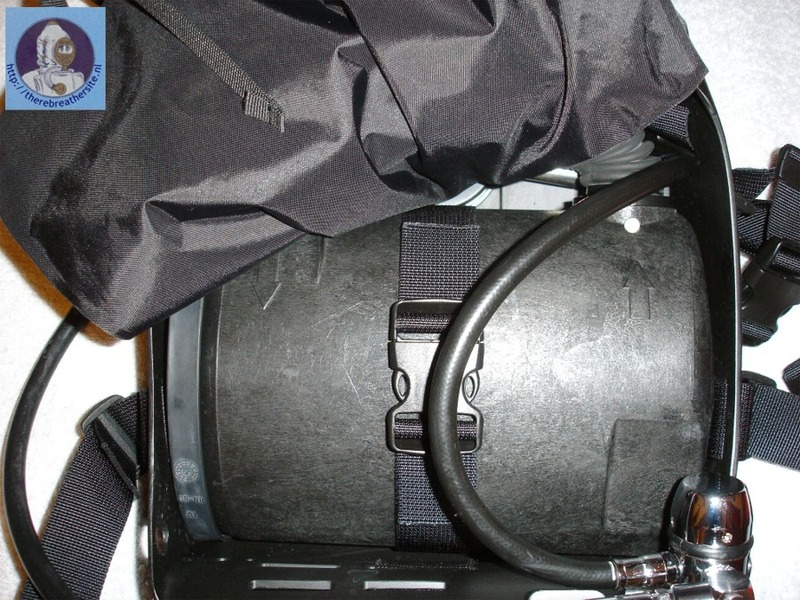 The scrubber was taken from a Dolphin and was modified by me with some custom made adapters. Inlet of the scrubber has a shortened male p-port as there was not much space in the shell and with the original p-port it would not fit into the shell. 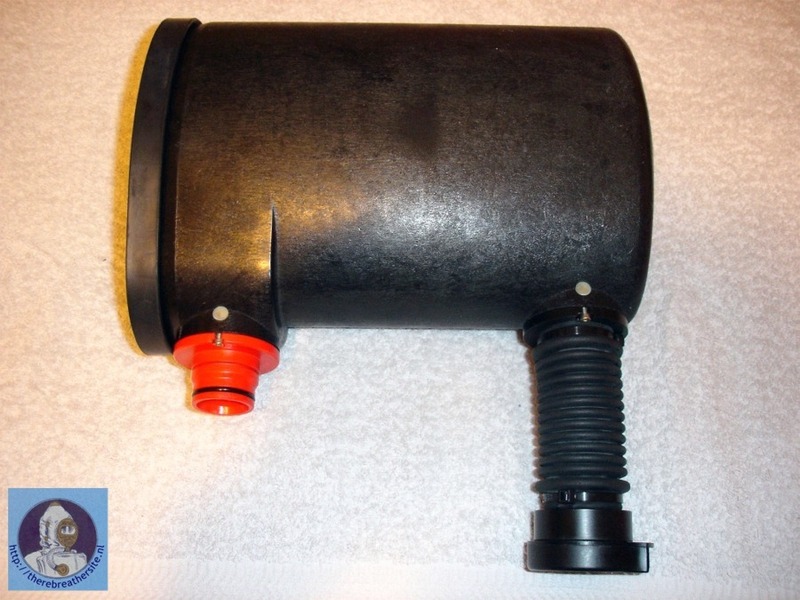 Exhaust side of the scrubber got a special fitting with a short length of RAY breathing hose which ends in a female p-port to which the inhale Hose connects when assembled. 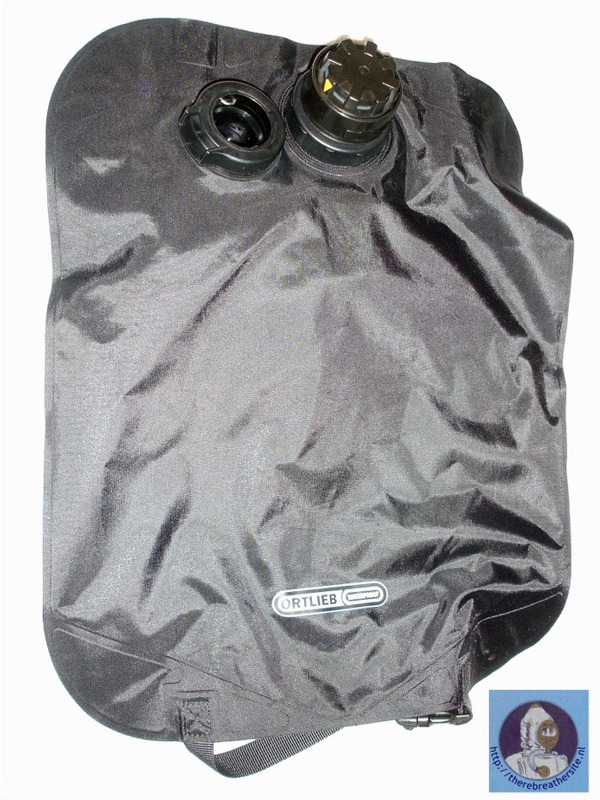 The counter lung was made from a 10L Ortlieb water-bag, this sounds big in the first impression but when installed it only blows up to about 6,5-7L so not much more then in an original LAR. 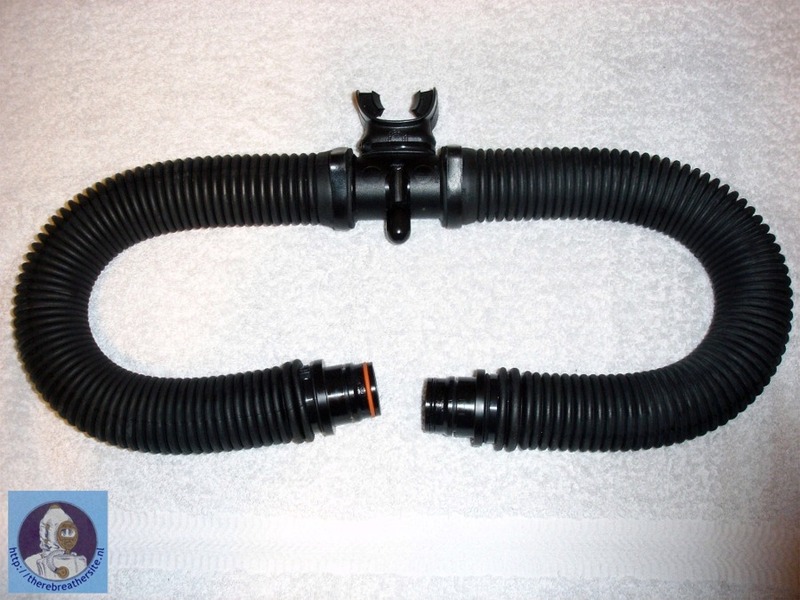 This allows to use the counter lung for trim purposes by adding O² manually. 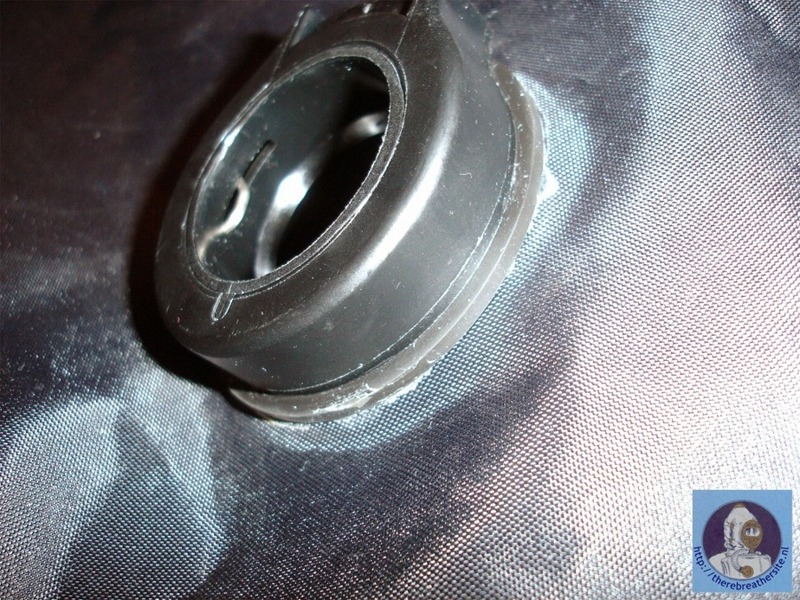 The Bag got 3 female p-ports fitted by cutting the holes and gluing rubber disks to it to assist proper sealing. 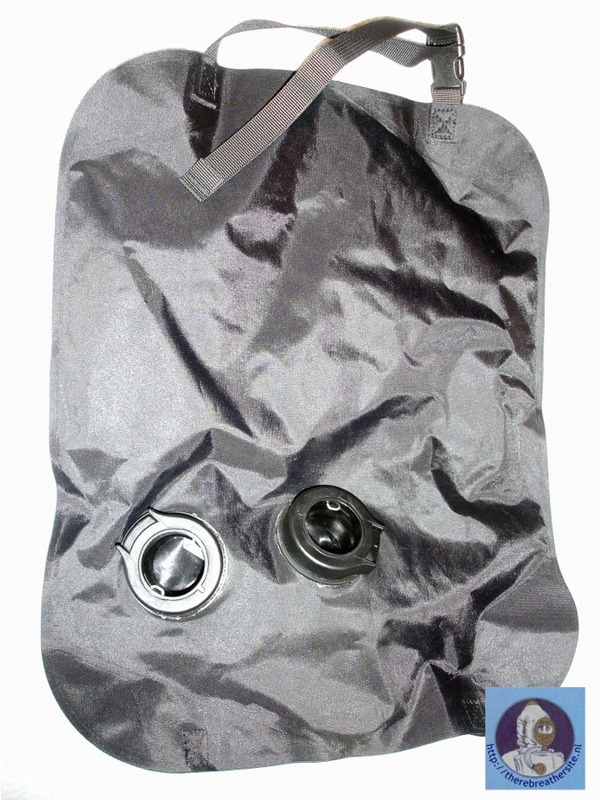 The RAY overpressure valve was fitted to the modified lid of the bag. 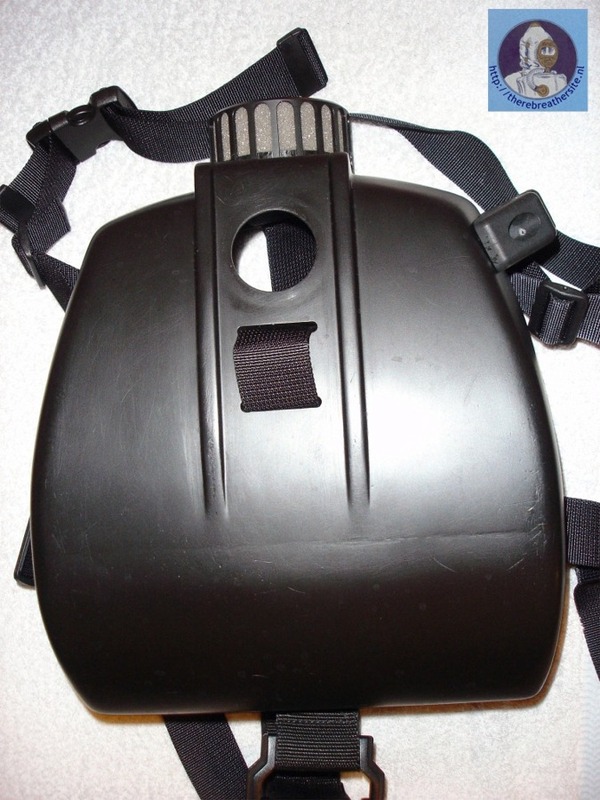 The Bubble diffuser is an original Dräger part which was fitted to the shell with the rubber ring from the dolphin. 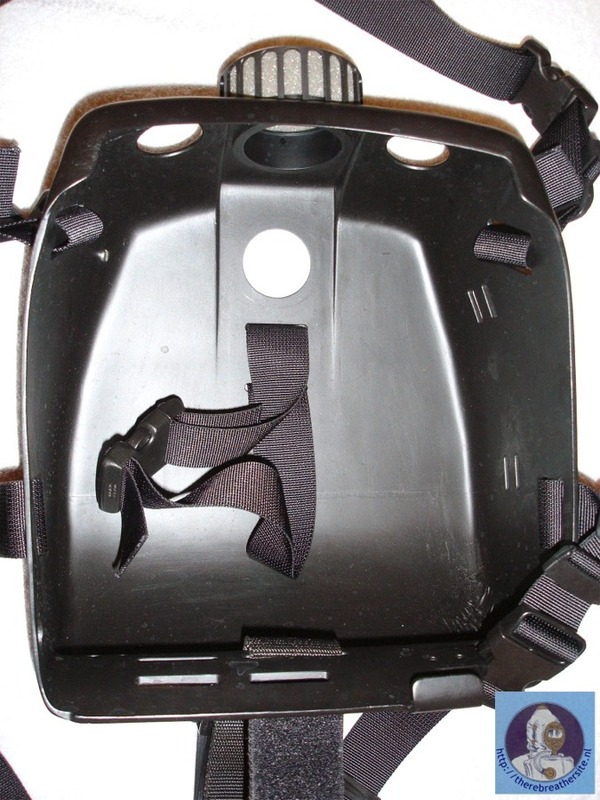 The harness was made up from some metres of webbing and some Fastex buckles, resembling the original style. After first using a 0,8L steel oxygen bottle for testing as seen on the first dive picture I´ve got an original aluminium LAR bottle so it looks right now. After all this work was done it was time for the first test dive on which the unit performed flawlessly! 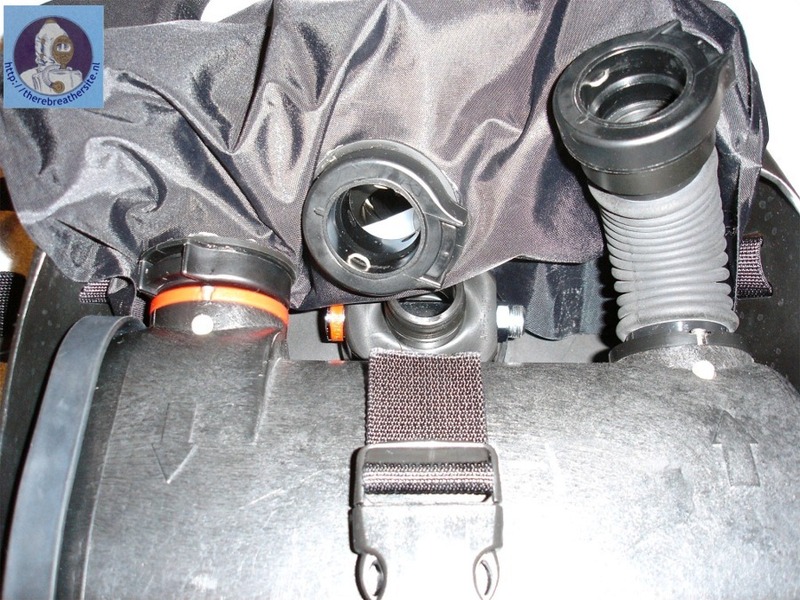 I just modified the bypass unit after the dive with a little washer under the spring so cracking pressure increased a bit as I found it to be too soft, this is due to the fact that the RAY dosage is not designed to be used upside down. 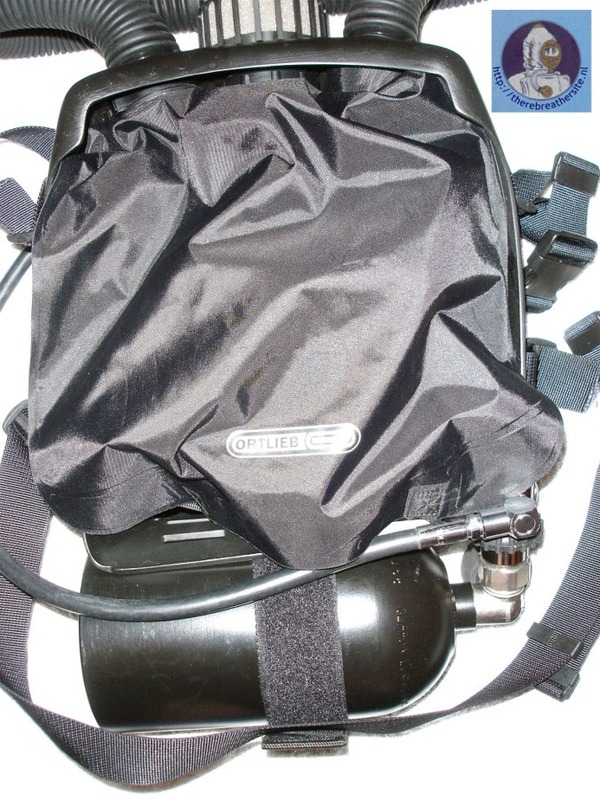 The unit is designed as an O² rebreather at the moment but can be converted to a dual Nitrox / O² rig by just adding a Dolphin bypass unit with flow nozzle and a second bottle with the right Nitrox. This would resemble a LAR VI combi unit then. Switching between O² and Nitrox by just opening and closing the tank valves. This is my idea of the "every man´s LAR VI" This project was done with very low budget as I can do all the special parts needed by myself and used RAY or Dolphin parts are easy to come by on Ebay for very reasonable prices! If you want to rebuild this project and are interested in the special lid for the dosage, just write an email to me at m.birkefeld@freenet.de I can build these on order! Comment´s and questions are welcomed too! 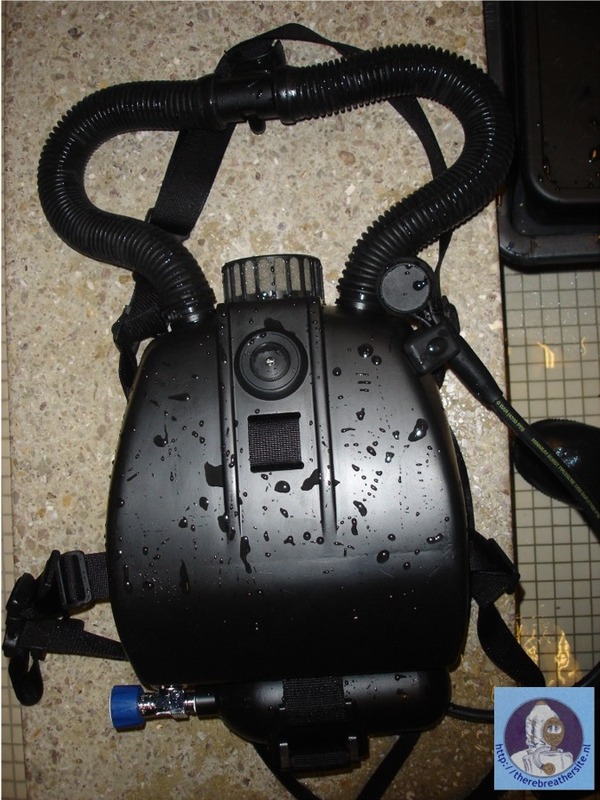 A second rig like this is already in work by a fellow diver in the US using one of the lid´s made by me. Thanks MAGNUS FOR SHARING THIS WITH US! 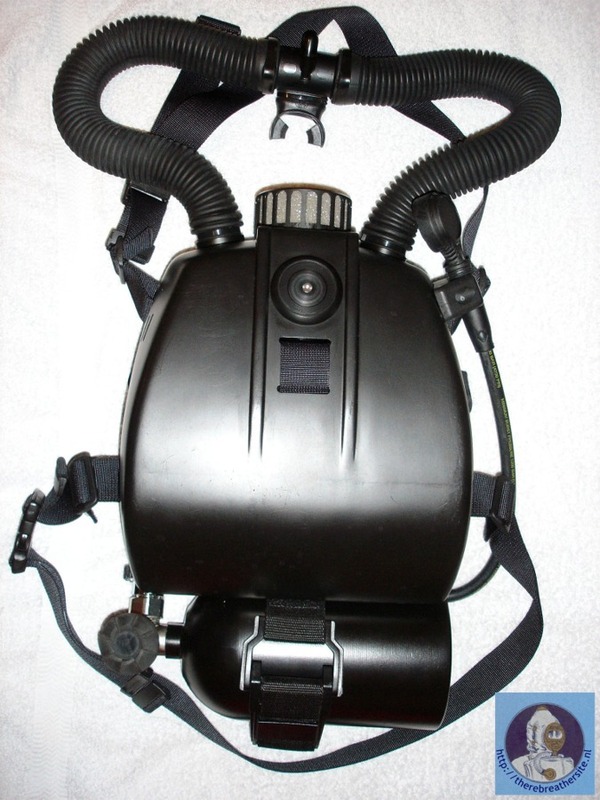 Magnus Birkefeld build his LAR VI look-a-like from various parts and rebreathers. The final unit is a masterpiece and well worth to be shown here in the homebuilder section. I asked Magnus to write me his building story and now I am very pleased to be able to offer these text and pictures. Magnus, thanks for the great job and your enthousiasm to share this with us!